This fun parrot toy will brighten up any bird's home and satisfy their craving for variety and mental stimulation! 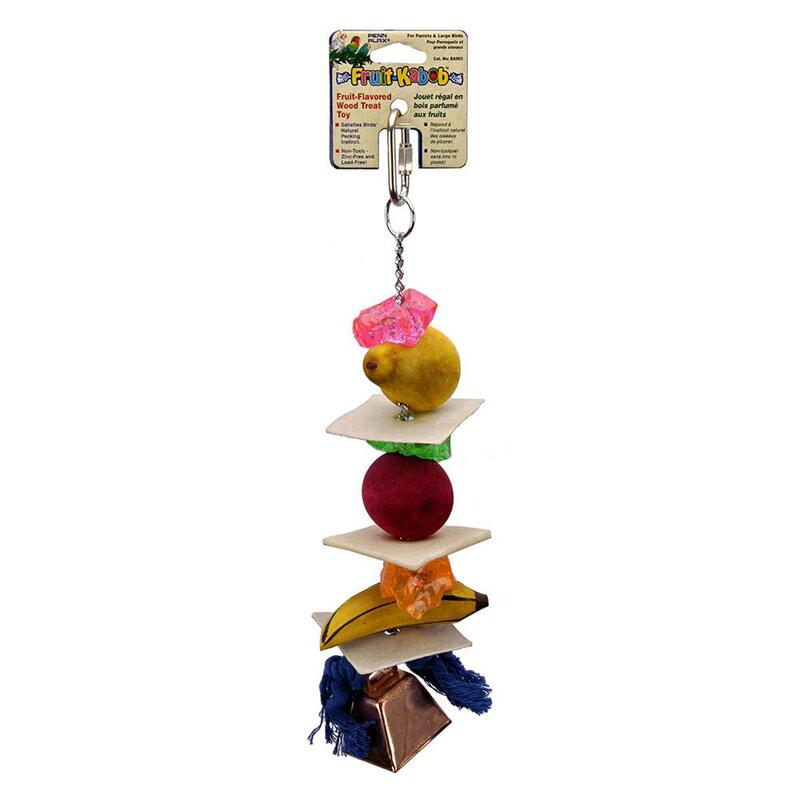 A wooden pear, apple, and banana are separated by colorful acylic rings and rawhide strips and strung on a metal chain. Finished off with a knotted rope and a genuine noisy cowbell on the bottom. Made with non-toxic zinc and lead free materials. Attaches to cage using a large c-clamp (screw lock hanger). Extra Large is roughly a foot long not including clamp.